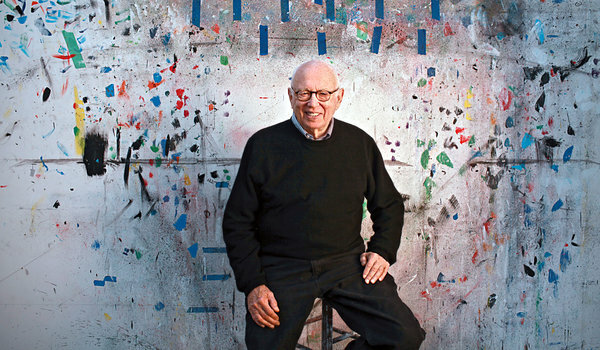 Often described as a minimalist, hard-edged painter [& sculptor], Ellsworth Kelly is credited with being a prominent figure within the post-war art world, who largely influenced the color field and pop art movements. Attending school with Jean Arp and Constantin Brancusi, Kelly saw himself influenced by the minimalist principles employed by the artists. Experimenting with the simplification of organic forms; Kelly creating large scale pieces that utilized a monochromatic palette and created an imposing presence. 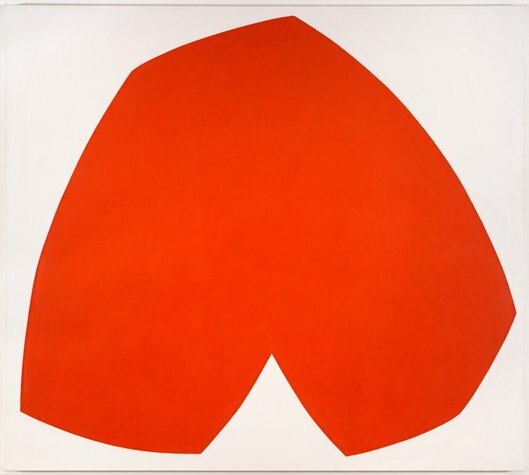 The works that Kelly produced were abstract, with emphasis on shape and form and the relationship therein; possessing a distinct energy and visual tension. As his artistic career progressed, Kelly further challenged himself through experimentation with different visual media. 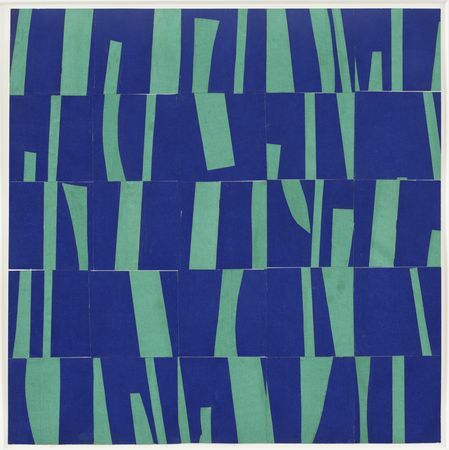 Influenced by [but not mimicking] Matisse, Ellsworth began to use cut paper, print, and sculpture to explore irregular forms and their relationship within a space. The result was often a delicate balance between decorative and impulsive, shapes that appeared as though they may have been mass produced, or were simply placed spur of the moment without intention. Kelly’s allusion to post-war industrial themed art echoed fellow artists such as Pollack, but without the aggression of abstract-expressionism; far from it actually. Kelly’s work is often described as lyrical and meditative; works that reflect the color and form experiments of Matisse with the whimsy of Miró or Kandinsky, but with a distinct stylistic departure steeped in geometry. 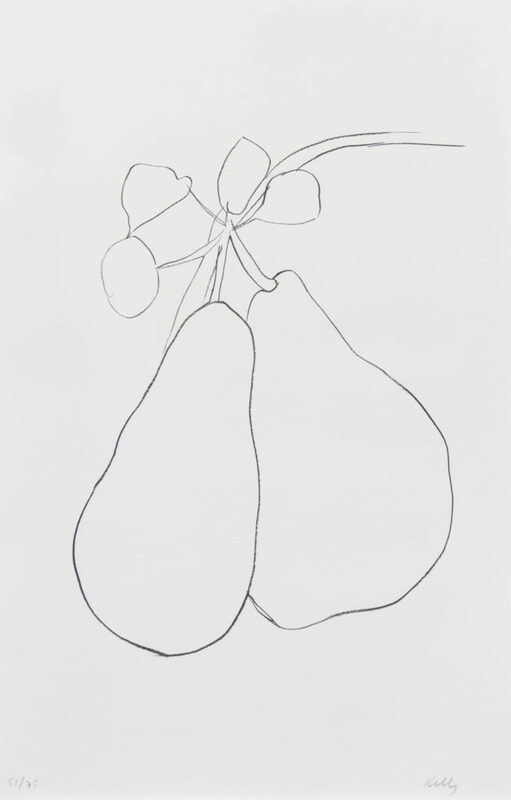 “Pear”, Lithograph, 54.5 x 32.35 in. Kelly’s more current works have continued to push the boundary of simplification and color theory. Creating gestural line drawings that highlight the basic contour and structure, naked and devoid of color, Kelly’s drawings capture the subject at it’s most base foundation. 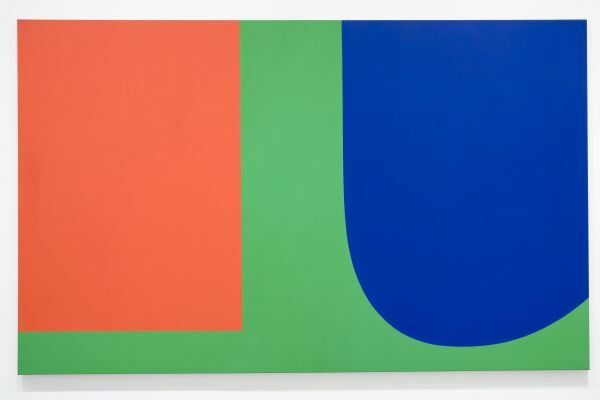 Whether producing dynamic color-field works that illustrate his mastery of color theory, or creating more representational works that investigate the backbone of a subject, Ellsworth Kelly continues to be a relevant force within the art world; spanning from post-war industrial, through pop art and color field, to the faultlessly modern movements of this century.